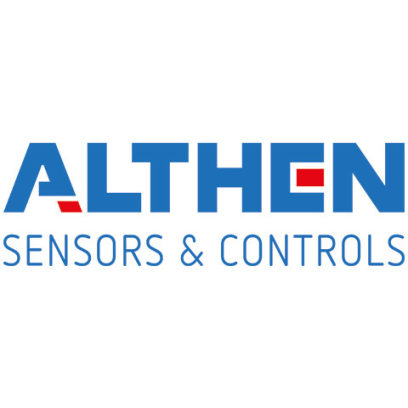 The measuring and sensor specialist ALTHEN is at HANNOVER MESSE 2019 not only to showcase tried-and-tested products and the GL7000 data logger complete with new functions, but also to unveil its brand-new pressure sensor - the FP5000. ALTHEN specializes in the electrical measurement of physical parameters. Its wide-ranging product portfolio covers everything from pressure, force, torque, strain, displacement, rotation angle, gradient, acceleration, vibration, rotation rate and temperature, and also features amplifiers, data loggers and electronics for automation technology. The high demands placed on the technical properties of all products can also be seen in the calibration laboratory, which is fully equipped for the specific parameters. What's more, customer-oriented solutions are a major priority for ALTHEN, which is why it focusses on user consulting, sales and service for transducers and sensors as well as complete measuring systems and system integrations. Industry-compatible accuracy paired with demand-based measuring solutions - that's what ALTHEN is bringing to HANNOVER MESSE 2019. Besides showcasing its tried-and-tested products, it is also unveiling the brand-new FP5000 pressure sensor. This new innovation is a media-isolated, piezoresistive silicon pressure sensor with output options of 0-5 volts, 0-10 volts or 4-20 milliamps. It is designed to feature high sensitivity and low temperature effects and non-linearity, while also boasting excellent thermal stability, accuracy and reliability. At the same time, it offers a wide range of options for various pressure and operating temperature ranges. Structural adjustments can also be made according to specific customer requirements. Moreover, the stainless steel housing is designed to ensure a long service life for use in corrosive media. This makes the FP5000 suitable for use, for instance, in test rigs in the automotive, aerospace and medical industries, in R&D test laboratories, for monitoring hydraulic and pneumatic systems, for regulating tool pressure, pump and compressor control, and measuring fill levels.